The Hon. Colm Imbert has been a Member of Parliament for 25 years, winning his Diego Martin North/East seat on eight (8) consecutive occasions since 1991. Following graduation from the University of the West Indies in 1979 with a Bachelor’s Degree in Civil Engineering, he worked on a number of major infrastructure and building projects in Trinidad and Tobago and in the Caribbean as a Consulting Engineer. While developing his practice and gaining experience he successfully pursued a Master’s Degree in Maritime Civil Engineering from the University of Manchester, UK, in 1982, and was formally registered as an Engineer in Trinidad and Tobago in 1986. Mr. Imbert then transitioned into the academic world and lectured in Construction Management at the University of the West Indies for 6 years, from 1985 to 1991. He also worked as a specialist consultant for the Food and Agriculture Organization of the United Nations (FAO) on Sea Defences for the Government of Guyana. In 1991, Mr. Imbert entered public life as a Member of Parliament and a Cabinet Minister with responsibility for the Ministry of Works and Transport until 1995 when he became a member of the Opposition. In addition to Works and Transport, during his political career, he has also held the portfolios of Minister of Local Government, Health and Tertiary Education, as well as his current Finance portfolio. He was also Leader of Government Business in the House of Representatives between 2007 and 2010 and currently chairs the Parliamentary Committee on Energy Affairs. 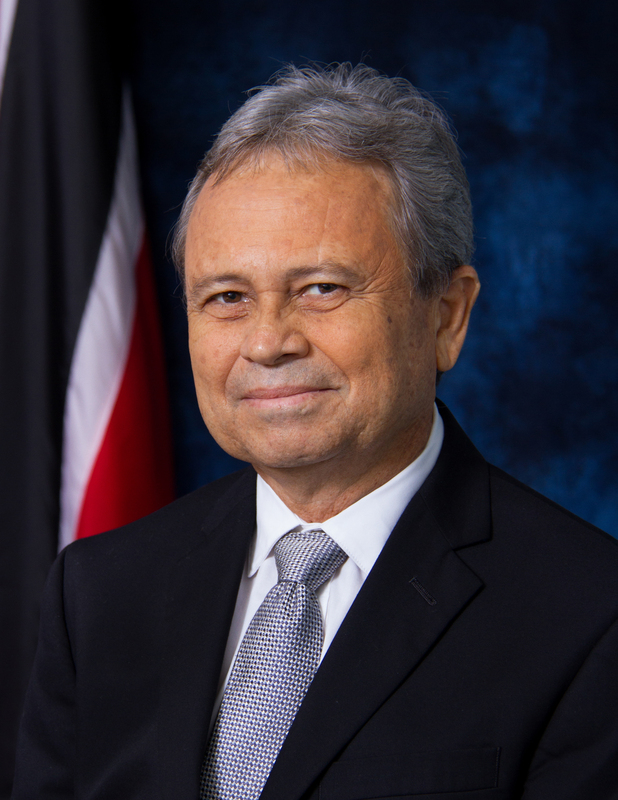 During the period 1995 to 2001, while in Opposition, Mr. Imbert focused on the application of his skills and knowledge as a Project Manager and Property Developer in Trinidad and Tobago and in the Caribbean, as well as during the period 2010 to 2015, when he was once more in Opposition. In September 2015, when the PNM returned to Government again, he was appointed Minister of Finance, the portfolio that he currently holds. Professionally, Mr. Imbert is a Registered Engineer and Member of the Chartered Institute of Arbitrators, having attained a Master of Laws Degree in Construction Law and Arbitration in 2007. He has also just completed his third Master’s Degree, in Oil and Gas Law, with a specialisation in Oil and Gas Taxation.